MEN’S- After a middle-ground 1-1-2 NESCAC record at the end of winter break, the men’s hockey team’s future was unclear. Whether the rest of the season would be an uphill climb or a breeze was up to the team when they returned to campus. Fortunately, the Cardinals have taken care of business, and have posted a 4-2-0 record in NESCAC play and 9-4-3 overall record. They currently hold third place in the NESCAC. There is one statistic that sticks out this season. The team has scored 35 goals in the third period, as compared to the 21 and 24 of the first and second periods, respectively. Also, in the third period, the Cardinals have a +12 goal differential in their favor. This means Wes finishes games strong, which should bode well for the team when they enter postseason play. The key to their success, however, is on the other side of the game. Led by five seniors, the team has a great sense of unity and is focused on achieving together. “Our team is very close off the ice, which I think plays a role in our success on the ice,” added forward Walker Harris ’20. With strong senior leadership and talented underclassmen, the Cardinals are setting the bar for success very high. “We first want to defend our Little Three title from last year, win the NESCAC in March, and make a deep NCAA tournament run, which we are capable of doing,” said Harris. This weekend, the Cardinals will first face off against two teams they have already played this season. First, the Cards welcome Amherst to Middletown. On Friday night, they will look to turn their tie from December into a win. Then, on Saturday, the team will face off against Hamilton. There, they will look to repeat their 5-3 victory against the Continentals from earlier in the season. 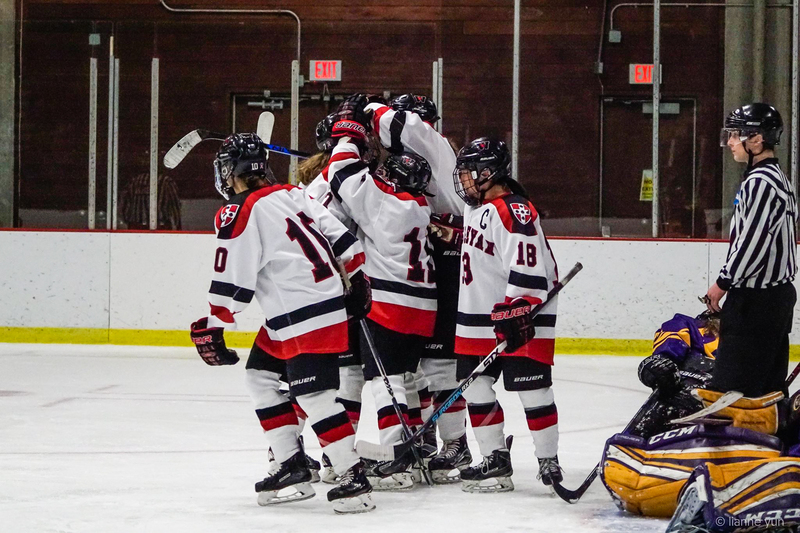 WOMEN’S- Coming off a big 3-1 victory over Hamilton, the women’s ice hockey team hopes to finish their regular season with momentum going into the NESCAC Championship. Taking down Hamilton, the top team in the NESCAC was a huge boost of confidence for the team as they head into their last four weekends of the year. The team is currently sixth in the NESCAC rankings, but with upcoming games against two of the top teams in the NESCAC, Amherst and Middlebury, the Cardinals still control their fate in the league. This year’s NESCAC is competitive but wide open, and the Cardinals see that as a great opportunity. With only four more weekends of NESCAC play, the Cards look to really ride the momentum of their big win over Hamilton. The Cards have a fighting chance to win the Little Three title this year. It will come down to their last weekend of NESCAC play against Amherst. “We look to continue to play competitive hockey and finish out the regular season strong,” Banquer said. 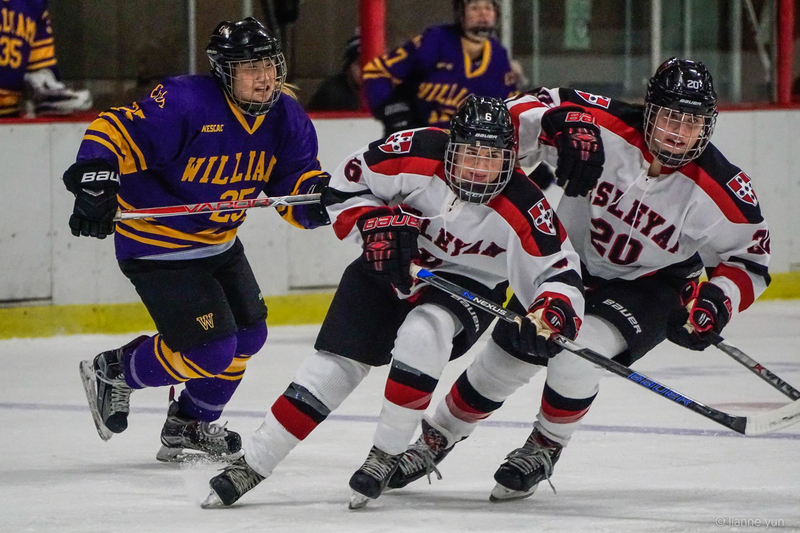 One statistic that will help the Wesleyan women into the postseason is the fact that they have killed an impressive 92.2 percent of power plays this season. This will prove helpful when facing formidable offenses in the near future. The women head to Bowdoin this weekend to take on the eighth-ranked team in the NESCAC. Though the Polar Bears are 1-6-1 in conference play, they have maintained a 7-6-1 overall record, and, as mentioned by Grant, cannot be taken for granted.